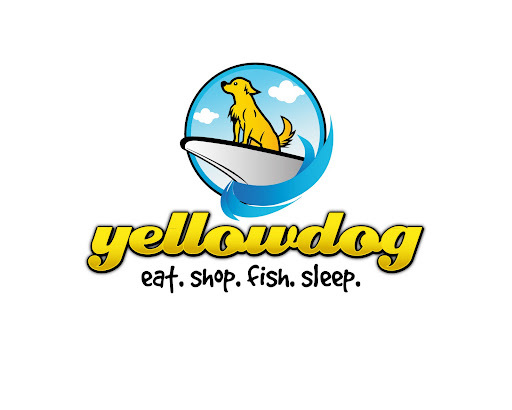 Having SO MUCH STUFF to buy to turn Yellowdog into our vision is going to mean being extremely creative. My thoughts are to buy whatever we can find for a reasonable price and paint it all into a beachy-chic color scheme. Between thrift stores, craigslist and garage sales, it shouldn't be hard but will be time consuming, so I figured we should start asap. The morning of February 19th I read the garage sale section in the paper and saw that there was a yard sale in a very expensive part of town. Chris humored me by agreeing to drive up there. It was either very picked over or didn't have much good in the first place, but I did spot a small end table for $3. Since that is the same as free in my book, I figured it was worth taking home. We rule!! Or, I guess the people who sold these things to us for practically nothing, do. 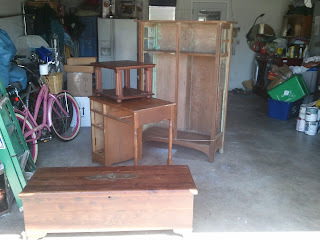 Thank you, crazy-letting-your-furniture-go-for-free people, you make my bank account happy.